Observed the first Sunday of every month. Available to infants and young children of participating believers and for participating and prepared youth and adults. 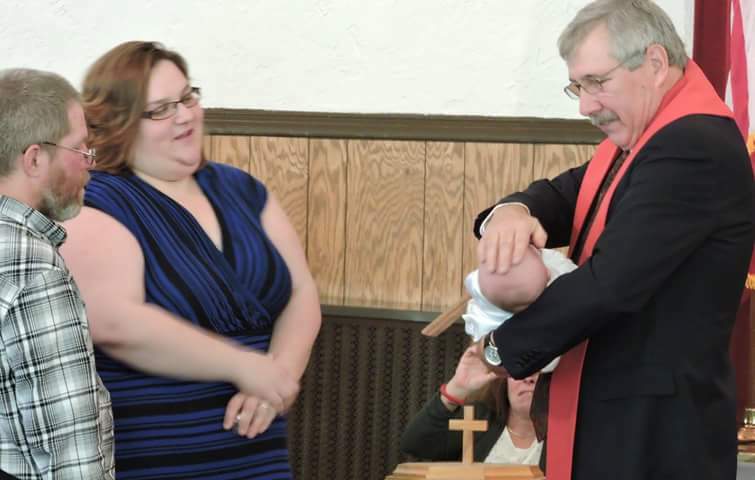 Baptism from another Christian church is honored. Children receive a special message from the pastor, followed by a closer look at God's Good News from Scripture. Every month there are opportunities to grow in friendship, fellowship, and our communion with God. Here are a few of our activities. Please feel free to come and join us. If you're interested in either of these groups, please contact Kathy Gallagher (724) 865-9152. A time of good food, fellowship and Bible Study. A great start to your day. All men are invited for the 2nd Saturday of every month, 8:00 - 9:30 AM in the fellowship hall. We invite you to join us for food and fellowship after service every first and third Sunday of the month.